eCigs HQ: Green Smoke FlavorMax™ Variety Pack Overstock Sale! Home » e-Cigarette Special Offers » Green Smoke FlavorMax™ Variety Pack Overstock Sale! Green Smoke FlavorMax™ Variety Pack Overstock Sale! DISCOUNTS GOOD WHILE THE SALE LASTS! Get in on the Tasty Savings Today! Green Smoke has just an announced a FlavorMax™ Variety Pack Overstock Sale. Regularly $16.99, Flavor Variety 5-Packs are only $9.99. 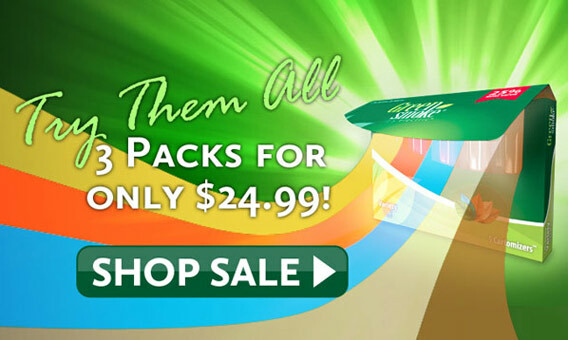 Save even more when you buy 3 Variety 5-packs for only $24.99 (regularly $50.97). That’s better than 50% off! The Variety Pack is the best way to sample all of the Green Smoke®’s top flavors, featuring Absolute Tobacco, Red Label Tobacco, Menthol Ice, Mocha Mist and Vanilla Dreams. All flavors come in a Full (1.8%) nicotine level. This sale is for a limited time only, so order now! To take advantage of these flavorful savings today, visit the Green Smoke website by clicking the banner above or the link below to receive special savings on your Green Smoke FlavorMax Variety Pack order. The discount is priced into the shopping cart, so no coupon code is necessary. But you will need to hurry, as this sale will be discontinued without prior notice. Reviewed by Admin in e-Cigarette Special Offers | Comments Off on Green Smoke FlavorMax™ Variety Pack Overstock Sale!